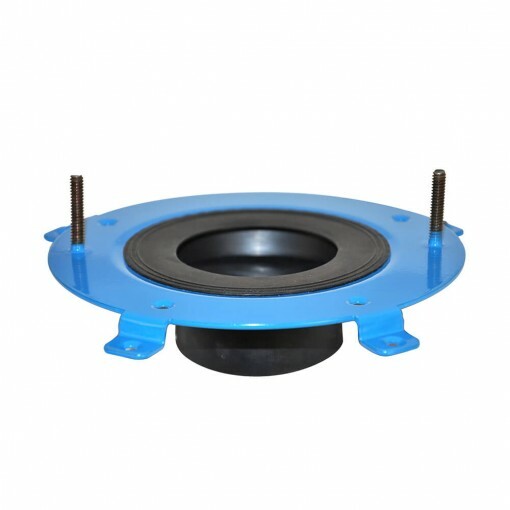 The HydroSeat™ offers an easy, one-piece installation that fixes broken or damaged flanges, and wobbly or leaking toilets. Installed together with a wax ring, the Sure Seal™ technology ensures a tight, leak-free seal and features a self-centering rubber funnel that fits any toilet or closet flange. Installation is simple and the debris cover helps to prevent sewer gas from escaping and debris from entering the pipe while the toilet is removed. Stainless steel bolts are locked into steel at factory set height to prevent movement. The closet floor bolts, stainless steel washers and nuts are included.